I’m not always big on reading signs, but this one seems like it offers pretty solid advice. 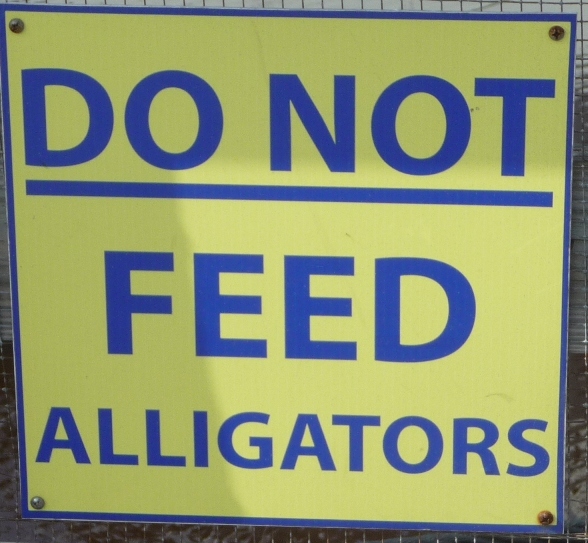 I’m not sure what I’d feed them though, even if I wanted to. An arm? A leg? Shannon?